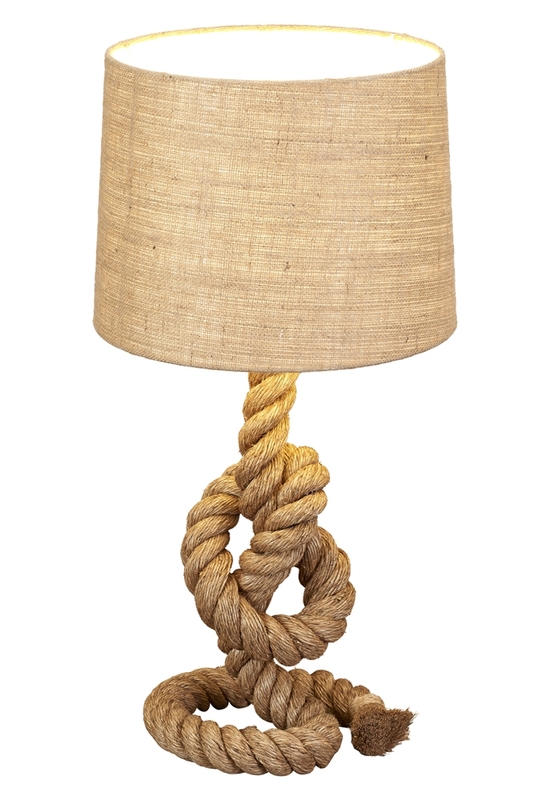 This table lamp is wrapped in all natural, grade A rope. 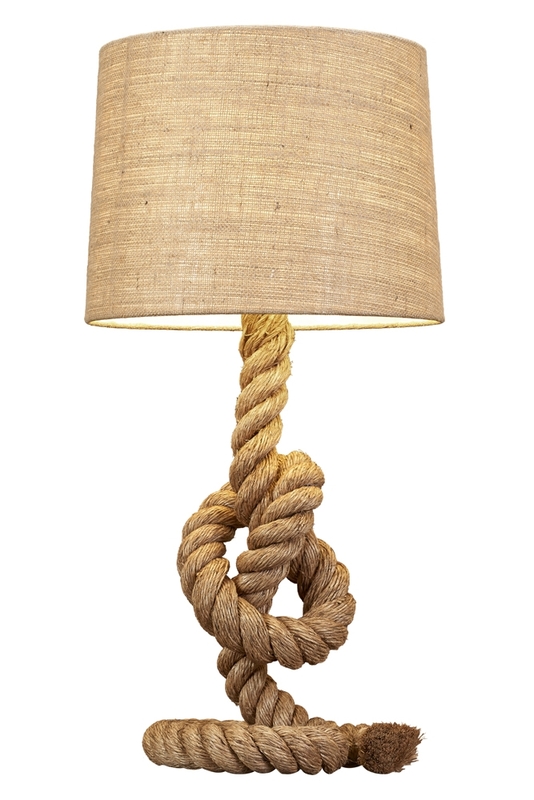 Under the rope is metal wiring, allowing the lamp to have this unique shape and design. 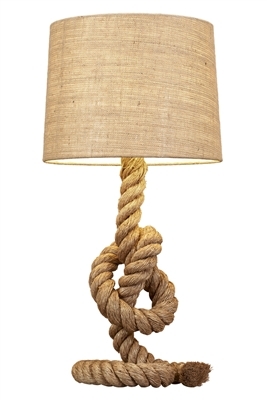 This lamp is topped with a natural Jute shade.